Mr. Walter Lloyd "Bud" Keast, age 90, passed away Sunday, April 1, 2018. 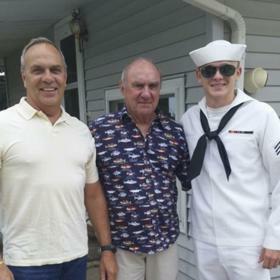 He was born in Crystal Falls, Michigan on January 10, 1928 to Walter & Emma (Facio) Keast and served his country in the US Navy during World War II. He married the former Donna Parsons in 1949. 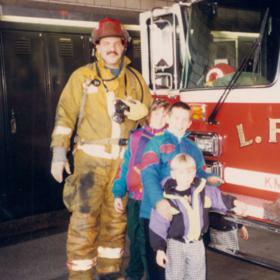 Mr. Keast had been employed as a fire fighter for the Lansing Fire Department for 14 years. He then owned Vic and Bud's Bar in Lansing. 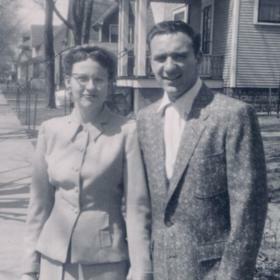 He then moved to Grand Haven and worked in management at Oldbergs, then Westinghouse and Donnely Corp. until retiring. 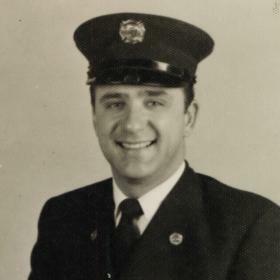 Walter was a member of St. Patrick & St. Anthony Catholic Church, Grand Haven American Legion and Grand Haven Elks. 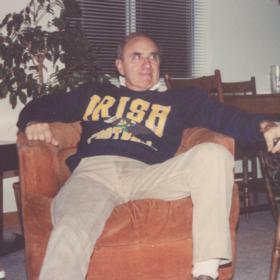 He was a diehard Notre Dame and Michigan State fan who collected antique toys, made whirly-gigs and weather vanes, loved to read and travel to the Upper Peninsula. Sons, Greg (Pat) Keast of Lansing, Jeff (Dona) Keast of South Haven, Paul (Tim Bang) Keast of Reese, Christian (Jill) Keast of Muskegon; daughter, Karen Keast of Spring Lake; grandchildren, Nicole (Rob) Leppala, Shannon (Jeffrey) Clemmons, Steve “Steve-O-Rino”(Trish) Keast, Tiffany (Mike) Ferguson, Kent (Christina) Platte, Amanda (James) Ferguson, Sean (Taya) Keast, Jonathan Keast, Alexander Keast; 16 great grandchildren; 4 great-great grandchildren; sister, Rosemary (Wayne Pike) LaGrand, Geri (Roger) Capen, Beth (Frank) Roznowski, Cathy (Dan) Reynolds; brother, Richard (Barbara) Keast. He was preceded in death by his wife, Donna in 2009 and sister Ann Keast in 2007. A Celebration of Bud's life will be held at a later date.